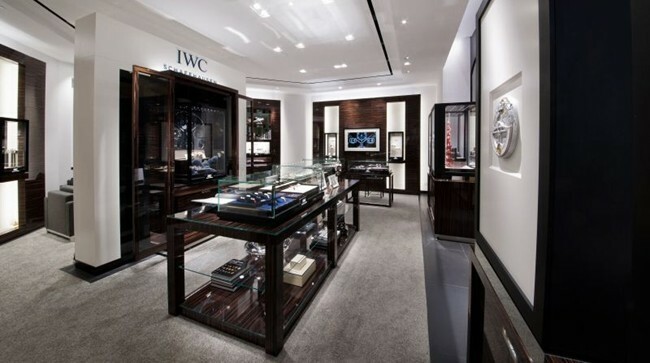 IWC Schaffhausen‘s new Studio City boutique offers customers a lavish brand experience spread across over 70 square metres. 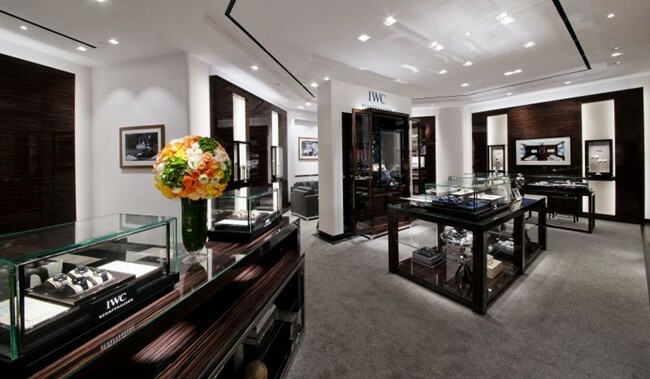 After entering the simple yet impressive doorway, the visitor is immediately drawn into the elegant world of IWC. The interior design – finely crafted in IWC’s signature Macassar wood and complemented by a luxurious carpet surrounded by a granite border – reflects the IWC’s distinctive style. Ingeniously zoned space leads customers through the IWC world and its six product families, each one representing a different theme that is a rich and evocative expression of the IWC universe. Watch connoisseurs can relax in the exclusive and discreet lounge, complete with a glowing fireplace, located at the far end of the boutique. Here they can discover the fascinating history and inspiration behind the IWC brand, try on the latest technical complications and receive expert advice from brand representatives. 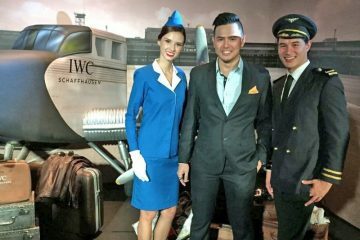 This total experience aims to inspire and fascinate customers while underlining IWC’s signature masculinity with the traditional fine art of watchmaking. 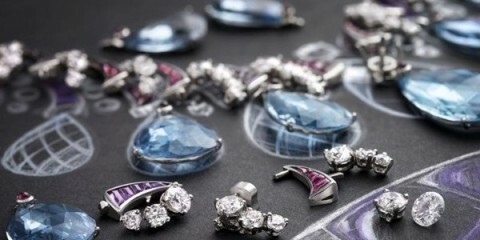 “We are thrilled to open at Studio City in Macau, Asia’s new entertainment capital. The awe-inspiring resort provides the perfect backdrop for the new boutique which reflects the sophistication of IWC’s watchmaking and craftsmanship…We look forward to welcoming our customers and offering them a unique experience of the originality and passion that is emblematic of IWC.” said Goris Verburg, Managing Director of IWC Schaffhausen North East Asia.